What are Giallo? Well simply put, it’s an Italian genre of literature and film. These gialli (plural form), contain aspects of mystery, crime, slasher horror and the supernatural. The word giallo translates to “yellow”. This film genre was associating itself with cheap Italian paperback mystery novels. These novels apparently, were popular in post-Mussolini Italy and were very noticeable on bookshelves because of their yellow covers. The films based off these type of novels, were very popular in the 1970’s and into the early ‘80’s. Dozens of these films were made in those days. But today we are going to look at one in particular. It is one of the first giallo films. Recognized by many and is quite possibly one of the best offerings of the genre. Time to hop on the Retro Review train! All Aboard! This interesting tale begins as two lovers, a teacher played by Fabio Testi and his student portrayed by Cristina Galbo are having an affair, while enjoying a boat ride on the lake. The girl sees what appeared to be a dispute and a fleeing woman. But ultimately, they made nothing of it. The next morning though, they wake to find there was a grisly murder that had taken place, by the lake where they were the previous day. Instinctively and rather stupidly, Henry (Testi) rushes to the murder scene after hearing the report. As it turns out, the victim is a school mate of Elizabeth’s (Galbo). After being photographed at the crime scene and also being a well-known professor at the all-girls school, Henry now becomes the prime suspect. But what does this have to do with a girl named Solange? This film is a giallo through and through. We already know from the beginning that Henry isn’t the killer. But because he was with Elizabeth at the time of the dispute, he’s staying tight-lipped because his wife, Herta (Karin Baal) is also a well-known and respected professor at the girls’ school. It isn’t until more school mates are found dead by grisly and ghastly sexually-motivated killings that ultimately Henry is exonerated of accusal. With giallo films there are multiple red herrings. Red herrings are misdirections to make you think the killer is this person or that person. They are the main components in all who-done-its. Establishing multiple possibilities of who the killer is. This film is no different. Was it Henry’s jealous wife? Was it another professor at the school? Was it one of the priests at the catholic girls’ school? This film is masterfully scored by Ennio Morricone. I don’t think I need to go into detail the things he’s done. Directed beautifully by Massimo Dallamano. Who made his mark filming some of Sergio Leone’s epic spaghetti westerns. Needless to say, he knows his way around the camera. Wonderful cinematography. The bathroom kill sequence was my favorite and especially chilling. This is a masterpiece in giallo film making. It had a timeless feel, reminding me of the stylish crime movies of the 1930’s and ’40s. The finale was heartbreaking and unfathomable. This was a horrific and dramatic journey into a world no one wants to ever go to. I firmly believe that giallo, as a sub-genre ushered in the slasher genre as we know it. I simply loved it! Do you really want to know what happened to Solange? 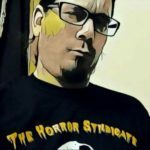 Demons 3 in the Works?